Welcome to To Do Tuesday December 20! 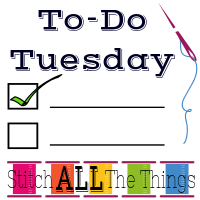 To Do Tuesday is hosted by Christine at Stitch ALL The Things. TDT is a great weekly motivator to finish projects and (for me) to keep my To Do List manageable. So, let’s see what progress I made! This was not a heavy sewing week for me, but I got a lot of smaller projects finished! The fabric and patterns are set out for these projects, and I am hoping to get to them this week with early closures and snow days. 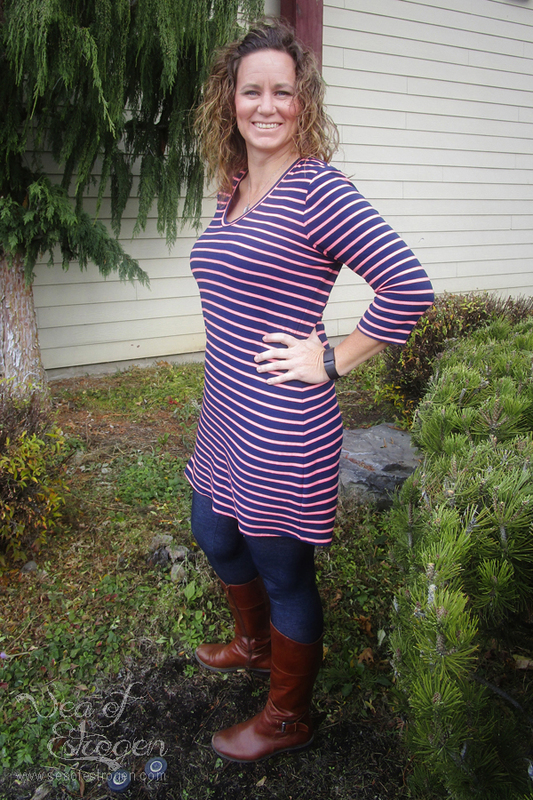 This week, I rounded up all my testing photos and wrote the blog post review of the Maggie Top, Tunic, & Dress from Bella Sunshine Designs. The pattern released last week, and it is on sale for $5.00 (regularly $8.95) through December 23. 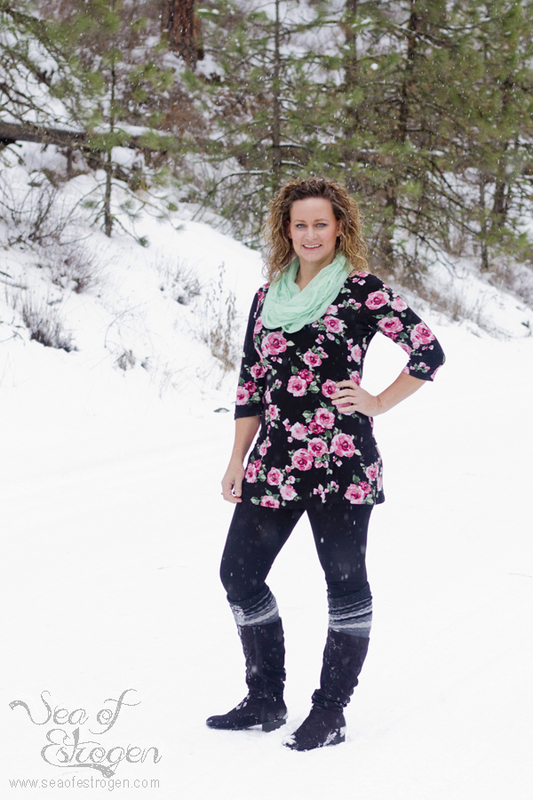 The Maggie Top, Tunic, and Dress is one of the most fun and easy patterns I have ever made! I am so absolutely thrilled with this dress, and so is Reagan! 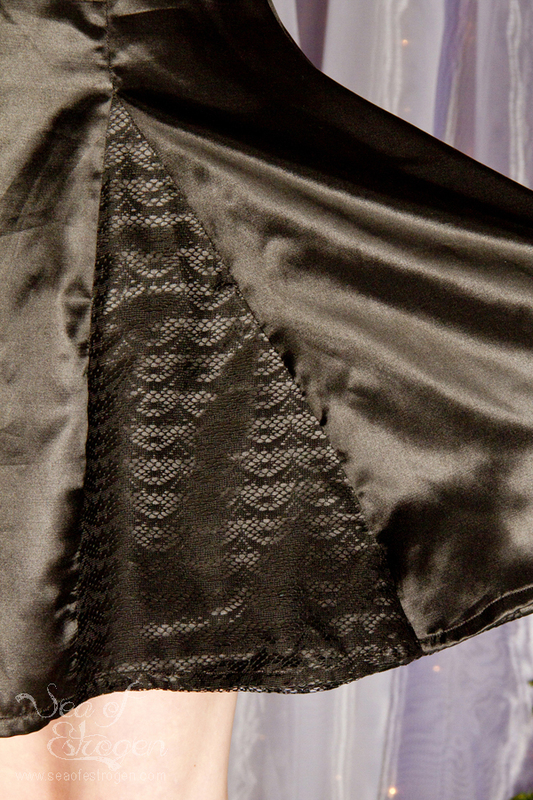 I combined the slippery fabric with lace overlay projects and created her choir dress. The fabric for this dress came from my stash, but I didn’t have enough lace for the whole dress, so only the godets have lace overlay. I forgot to take pictures during the sewing process. 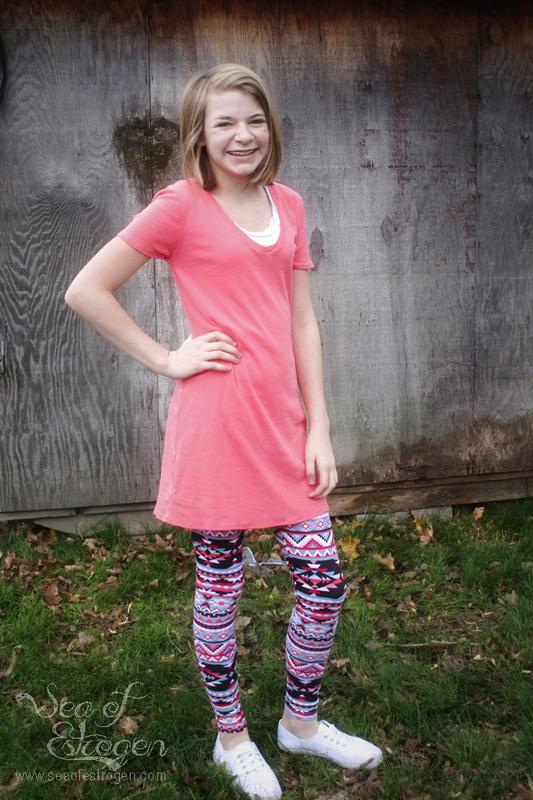 The pictures of Reagan modeling it and the write up can be found here: Lace Overlay & Slipper Fabric – November & December TSNEM. Unfortunately, with all the crazy winter weather we’re having, the girls school got cancelled today. That means the Christmas Concert that was supposed to be tonight (that Reagan needed the dress for) will be rescheduled for a date in January. It is disappointing to me that I didn’t take nearly as many pictures as I wanted of our final dishes, but I have enough for a post. I have started culling the pictures, writing up recipes, and putting together a summary of our evening. The post will be up later this week. 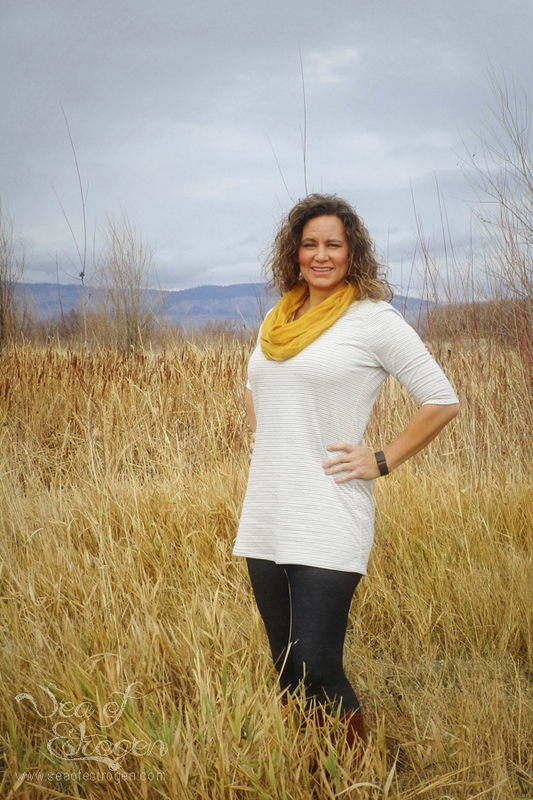 I am going to be hosting a Maggie Sew-A-Long on the Sewing Pattern Testers Blog in January. This is a great pattern to start with if you have been waffling about sewing apparel and/or knits. You should definitely join me for the sew-a-long! I have finalized the sew-a-long schedule, and I am cutting, photographing, sewing, and writing! 1. Introduction, materials required, pattern assembly, etc. 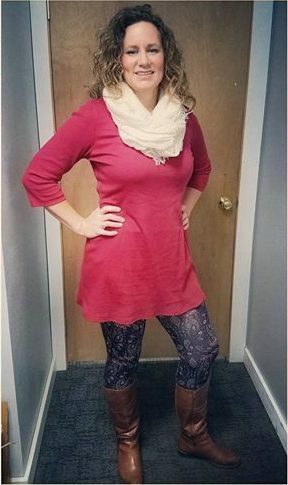 Don’t forget to get your copy of the pattern for the sew-a-long! 6. BONUS: Jean Quilt Squares are all cut! I hadn’t planned on starting this project any time soon, but I really needed to get the bulk of all the jeans out of my fabric storage. This past Saturday and Sunday I worked on all the old jeans I had cutting them down to size. I am making a simple patchwork quilt using 6″ squares, and I ended up with 304 6″ squares. I have enough blocks for a king-sized quilt; hopefully my machine can handle the bulk and weight! I do have a sack full of the old pockets that I will eventually remove and appliqúe on the quilt top. The blocks won’t be large enough for the adult-size pockets, but I cannot leave out the cute little pockets from my girls’ baby jeans! My To Do List is even less stressful this coming week! What a productive week you have had. Garments are all fab, nice that Reagan is pleased with the dress! Love the Converse with the lacy dress! So something my teen would do! Good luck with the baby gifts this week, and future jeans quilt. I’m sorry the concert was cancelled, but that dress is so pretty! Love the lace overlay! I can’t wait to see your dinner post. 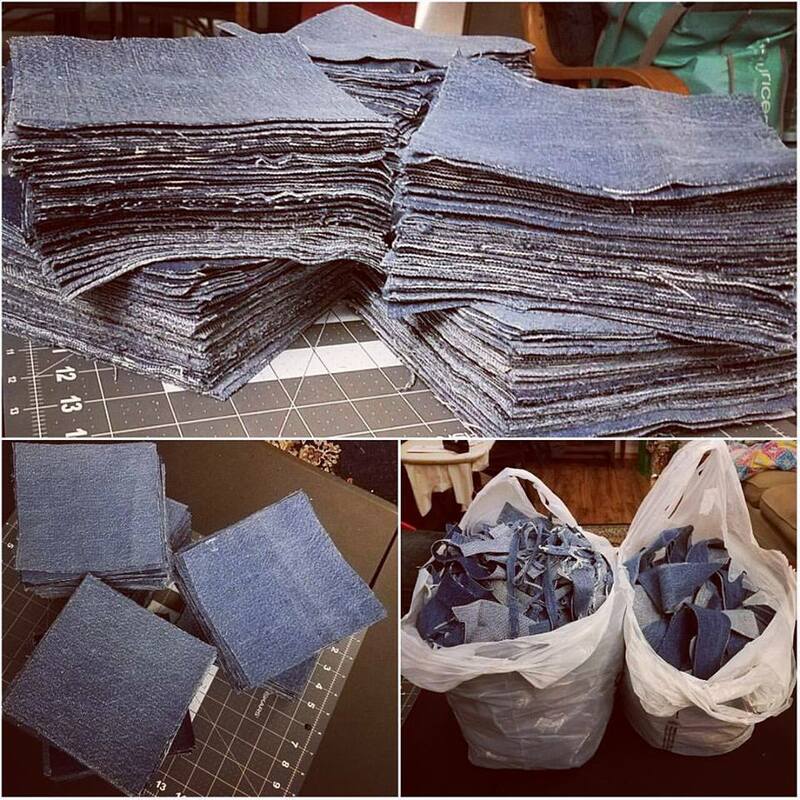 And cutting over 300 denim squares?! Wow! Love the idea of pockets on some of the squares too. Thank you! She loves the dress! I forgot to mention that the first time I made it, it had a much higher neckline. This time, Reagan asked me to make it more of a scoop neck. I actually can’t wait for the concert – both girls are in choir for the first time, and I’m really looking forward to watching them. Yeah. 300. It was kind of ridiculous, LOL! I’m really happy to have them done, though! Harley and I were looking at some of them, and I think some of the pockets from their jeans are at least 20 years old! I’ve been saving jeans for a LONG time!